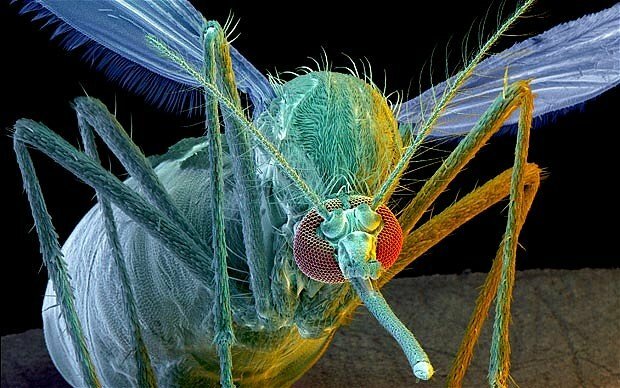 To fight dengue fever (mosquitoes), this Brasilian town is introducing genetically modified mosquitoes. WTF! 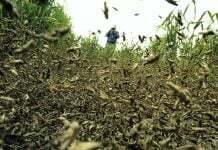 The small Brazilian town of Jacobina is using engineered mosquito swarm to kill their own species. And what if these mosquitoes were becoming even worse? There is no vaccine against dengue fever. Dengue mosquitoes are usually killed with insecticides. But with the rise of dengue fever in Brazil (last year: 1.4 million cases), Robocop mosquitoes were produced and introduced to wipe them out. Which impacts will they have on human health and the environment? Are they going to become the next more dangerous cause of dengue fever? Of course, this is unknown. They are probably even harder to recall than plants. 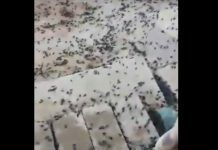 The insects are genetically modified (GM) in a laboratory with a lethal gene designed to devastate the Aedies aegypti population and reduce dengue’s spread. The mosquitoes contain a lethal gene, but survive in the Moscamed lab with the help of the antibiotic tetracycline. 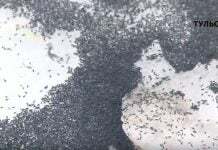 Once they reach larval stage, the males are separated from the slightly larger females, which are destroyed. The males — which don’t bite — are released so they can mate with wild females. Their offspring inherit the lethal gene and die before they can reproduce because, in the wild, there is no tetracycline. Well hopefully will they not transform into monster mosquitoes.